Jack-O-Lantern Hand Pies | Mary Duke Cooks! This Jack-O-Lantern treat is for small and large goblins that are always on the go. Held easily in the hand, it works perfectly for children and adults too. This Halloween treat can either be served as an after school snack or as a kid-friendly entree with the addition of fruit (sliced apples) and vegetables (carrot and celery sticks). Fill the meat pies with a filling your children love. For instance, sloppy joe sauce with cheddar cheese or meat sauce with parmesan cheese. The possibilities are endless. For easy assembly make the meat sauce in advance and let it cool. 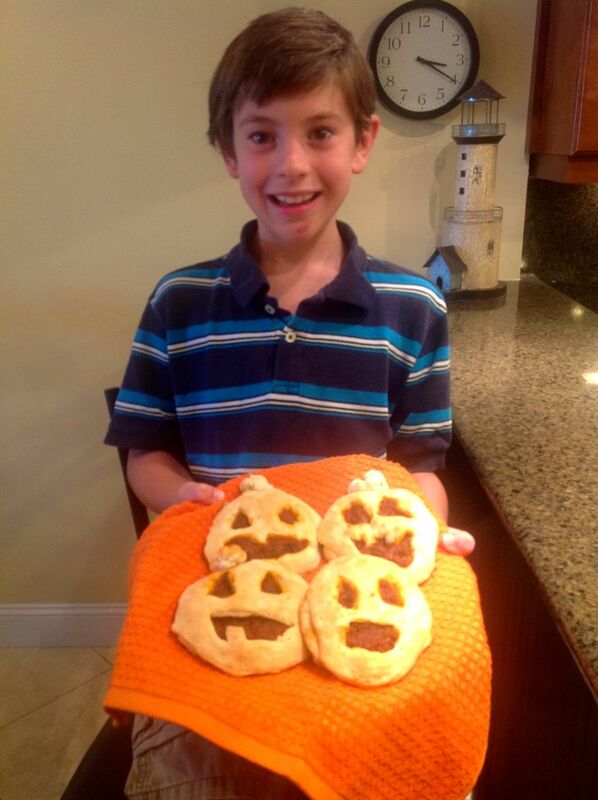 I made these Jack-O-Lantern treats with my godson Patrick Malott. We had a lot of fun. I think he did a great job cutting out the faces and assembling them! 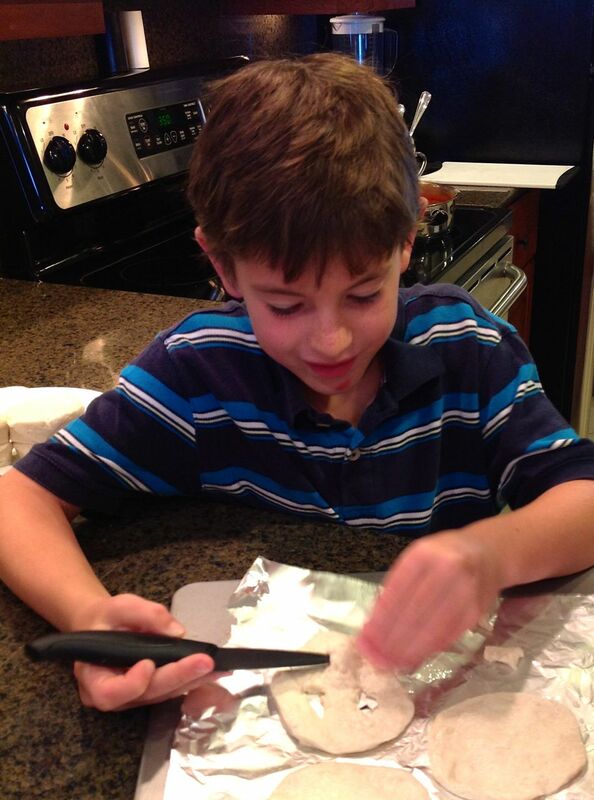 If your children are really small you can bake the hand pies in advance and let them cool. Using a child safe pumpkin carving knife, you can guide their little hands while cutting out the Jack-O-Lantern faces. Preheat oven to 350 degrees F. Remove Biscuits from tube. Separate each biscuit into two halves. Flatten each half into a 4 inch circle of dough. You will have 16 circles. Cut Jack-O-Lantern faces from 8 of the dough circles. (Or cut the faces out after you have baked them.) On the remaining eight circles of dough, spoon 2 tablespoons of meat sauce and 1 tablespoon of cheese. Top meat cheese mixture with the Jack-O-Lantern faces, pressing edges to seal. Roll scraps into 8 balls, shaping them to look like pumpkin stems. Attach to top of pumpkins. Brush with egg wash and bake according to canned biscuit directions. Ghoulishly delicious!